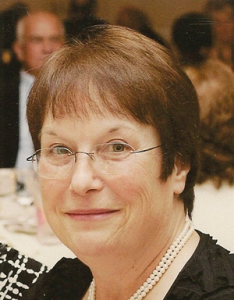 Cynthia “Cyndie” A. Roy, 68, of Keene and formerly a long-time resident of Springfield, MA. died on Tuesday, November 13, 2018 at Westwood Care Center in Keene. She passed peacefully with the love of family near after a period of declining health. Cynthia was born the daughter of the late Lillian (Stone) and Adonias Roy on January 3, 1950 in Keene. She was educated locally and graduated from Thayer High School class of 1968. She went on in her studies graduating from Keene State College with a Bachelors of Science in History. 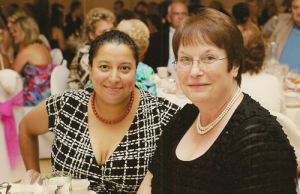 She was employed at Massachusetts Mutual Insurance Co. in Springfield as a Senior Underwriting Consultant. Cyndie retired in 2013 after twenty-five years at the company. She enjoyed traveling, reading, writing and her animals. Time was spent with family and friends. She loved to be with her daughter. She was a wonderful daughter, sister and mother. Miss. Roy is survived by her daughter, Elizabeth L. Roy of Delray Beach, FL. Her siblings; Joseph W. Roy and his wife, Ellen of Hinsdale, William A. Roy and his wife Carrol of Columbia and Lorraine M. Lechlider and her husband William of Keene. In addition, she leaves cousins, nieces, nephews, extended family and friends. Cynthia is pre-deceased by her siblings; Dennis Roy, James Roy, Barbara Belleville and Beverly Moore. Calling hours will be held on Sunday, November 18, 2018 from 1 to 2pm. with a Liturgy of the Word to be given at 2pm. all in the funeral chapel. Burial will take place in the spring in the family lot at Evergreen Cemetery in Winchester. In Lieu of flowers the family would prefer donations be made in memory of Cynthia A. Roy to: T.J. O’Connor Animal Control and Adoption Center, 627 Cottage St. Springfield, MA. 01104 or to: Dakin Humane Society, 171 Union St. Springfield, MA. 01105. All services are under the direction of Cheshire Family Funeral Chapel and Crematories, 44 Maple Ave. Keene, NH. 03431.